Also known as "Is God Able to Heal? Does God Ever Heal? Does God Always Heal? Does God Use Means in Healing?" While there is no date marked on this writing, a reference to five years of ministering in Spokane could put this writing in the 1919 or 1920 range. “Rev. 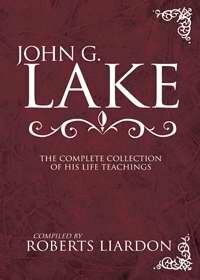 John G. Lake Spokane, Wash.
We are submitting the following questions to about twenty-five leading professors, preachers, and evangelists, for reply, and recognizing your extensive experience in the ministry of healing, trust that you will favor us with an early reply. FIRST: IS GOD ABLE TO HEAL? SECOND: DOES GOD EVER HEAL? THIRD: DOES GOD ALWAYS HEAL? Question 1. Is God Able to Heal? Coming as an inquiry from the Church of Christ in her varied branches, as represented by your association, which includes ministers and evangelists of almost every know sect, is a confession of how far the Modern Church has drifted in her faith from that of the Primitive Church of the first four centuries. That this apostasy is true, may readily be seen by a study of the New Testament, together with the writings of the Christian fathers of the first centuries. That Jesus Himself healed All who came to Him; that the apostles after His resurrection and after the outpouring of the Spirit upon the Church on the day of Pentecost, continued to do the same, is a New Testament fact. It is well known that the Church fathers testified to the vast extent of the miracle-working power of Christ through His followers, until the day of Constantine. With the establishment of Christianity as the state religion under Constantine, a flood of heathenism poured into the Church, and the vitality of the faith in Christ as Saviour and Healer disappeared. Hordes of unbelievers came into the Church with very slight knowledge of Christ, bringing with them many heathen customs and practices, some of which quickly predominated in the Church. Among these was trust in MAN rather than Christ, as healer of the body. That isolated saints of God and groups of Christians have trusted God exclusively, and proved Him the healer, is found in the experience of the Church in every century. Among those in modern times were the Hugenots of France, who excelled in their faith in God. Many of them were consciously baptized in the Holy Ghost, and history records that many of them spoke in tongues by the power of the Holy Spirit. The sick were healed through faith in Jesus Christ and the laying on of hands. Many prophesied in the Spirit. With the coming of Protestantism, and the establishment of the great churches of the present day, little knowledge of Christ as the Healer existed. Protestantism was established on one great principle, the revelation of Martin Luther, his watchword and slogan “The just shall live by faith.” Not by works of penance, but through faith in the living, risen, glorified Son of God. Isolated cases of healing are recorded by Luther, John Knox, Calvin, and Zewengle, and others of the reformers. With the birth of Methodism, under John Wesley, a fresh impetus was given to the teaching of healing through faith in Jesus. Wesley recorded in his journal, many instances of wonderful healings of the sick, of casting out of demos, and remarkable answers to prayer. The modern teaching of healing received a new impetus through Doroth Trudell, a factory worker in one of the German provinces. Under her ministry many were healed, so that eventually the German Government was compelled to recognize her healing institution at Mennendorf and license it. 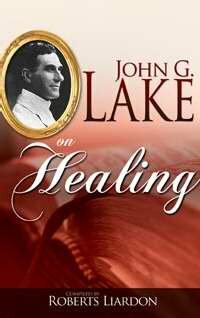 During the present century a great number of men definitely taught and practiced the ministry of Divine Healing. A little over five years ago, we established in Spokane, Divine Healing Rooms with a competent staff of ministers. They believed in the Lord as the present, perfect Healer, and ministered the Spirit of God to the sick through prayer and the laying on of hands. The records show that we ministered up to 200 persons a day: that of these, 176 were non-church members. The knowledge of and faith in Jesus Christ as the Healer, has griped the world outside of the present Church society, and the numbers of those who believe are increasing with such rapidity that in a short time they may become a majority in many communities. Question II. Does God Ever Heal? Question III. Does God Always Heal? We believe that this attitude of mind and this character of reasoning is due to the ignorance of the plain Word and Will of God, as revealed through Jesus Christ. We contend that God is always the Healer. We contend further that it is not necessary for God to will the healing or non-healing of any individual. In His desire to bless mankind, He willed once and for all and forever that man should be blessed and healed. He gave Jesus Christ as a Gift to the world, that this blessing might be demonstrated and His willingness and desire to heal forever made clear. Christians readily admit that Jesus is the entire expression of the Law and the Life and the Will of God. As such, He demonstrated forever by His words and acts, what the mind of God toward the world is. He healed all who came to Him, never refusing a single individual, but ever bestowed the desired blessing. In healing all and never refusing one, He demonstrated forever the willingness of God to heal all. He healed because it was the nature of God to heal, not because it was a caprice of the mind of God, or because the mind of god was changed toward the individual through some special supplication. The method by which men receive the healing power is parallel to the method by which we light our homes through the use of electricity. A dynamo is set up. Through its motion, it attracts to itself the quality know as electricity. Having attracted electricity, it is then distributed through the wires wherever man will and our homes are lighted thereby. The dynamo did not make the electricity. It existed from time immemorial. It was the discovery of the ability to control electricity that made lighting of our homes a possibility. Without it, we would still be living by the light of a tallow candle or a kerosene lamp. In the spiritual world, the spirit of man is the dynamo. It is set in motion by prayer, the desire of the heart. Prayer is a veritable Holy Spirit controlling dynamo, attracting to itself the Spirit of God. The spirit of God being received into the spirit of man through prayer, is distributed by the action of the will wherever desire. The Spirit of God flowed through the hands of Jesus to the ones who were sick, and healed them. It flowed from His soul, wirelessly, to the suffering ones and healed them also. The Holy Spirit is this shown to be the universal presence of god, God omnipresent. The Spirit of God is given to man for his blessing, and is to be utilized by him to fulfill the Will of God. The Will of god to save a man is undisputed by intelligent Christians. The Will of God to heal every man is equally God’s purpose. God has not only made provisions that through the Spirit of God received into our lives, our souls may be blessed and our bodies healed, but further, we in turn are expected and commanded by Jesus to distribute the Spirit’s power to others, that they likewise may be healed and blessed. The Spirit of god is ours to embrace. It is ours to apply to the need of either soul or body. Through Christ’s crucifixion and through His victory over the grave, Jesus secured from the Father the privilege of shedding the Holy Spirit abroad over the world. This was the crowning climax of the redemptive power of God ministered through Jesus Christ to the world. And from this day to this, every soul is entitled to embrace to himself this blessed Spirit of God, which Jesus regarded so valuable to mankind, so necessary to their health and salvation, that He gave His life to obtain it. Consequently it is not a question, “Does God always heal?” That is childish. It is rather a question, “Are we willing to embrace His healing?” If so, it is for us to receive. More than this it is for all the world to receive, for every man to receive, who will put his nature in contact with God through opening his heart to the Lord. Jesus knowing the world’s need of healing, provided definitely for physicians (disciples, ministers, elders, those with the Gifts of Healing) who would minister, not pills and potions, but the power of God. The Gifts of Healing is one of the nine Gifts of the Spirit provided for and perpetuated forever in the Church. I Corinthians 12:8-11. The Word says: “Jesus Christ the same yesterday, and today, and forever.” Consequently there is healing from every disease, for every man who will in faith embrace the Spirit of God, promised by the Father, and ministered through Jesus Christ, to the souls and bodies of all who desire the blessing. Peter in his exposition of this fact, says, “By whose stripes ye were healed.” The use of “were” in this text indicates that the healing was accomplished in the mind of God when Jesus Christ gave Himself as the eternal Sacrifice, and has never had to be done over again for the healing of any individual. He willed it once; it is done forever. It is yours to have, yours to enjoy, and yours to impart to others. Question IV. Does God Use Means in Healing? By the term “means” is understood the varied remedies, medicines and potions commonly used by the world at large and prescribe for the sick—in short, Materia Medica. This should be an extremely easy question for anyone to decide. The world has always had her systems of healing. There were one thousand and one systems of healing evolved in all the centuries. They were mankind’s endeavor to alleviate suffering. They existed in the days of Jesus, just as they exist today. The ancient Egyptians used them and were as proficient in the practice as our modern physicians. Indeed their knowledge of chemistry in some respects seem to have superseded ours, as they were able to produce an embalming substance that preserved the human body and kept it from dissolution. Just prior to his death he wrote an article entitled “The Slaughter of the Innocents,” condemning cutting out of tonsils and adenoids, demonstrating that the presence of inflammation and pus and the consequent enlargement was due to a secretion in the system that found lodgment in the tonsils and that the removal of the tonsils in no way remedied the difficulty, the poison being generated in the system. He purposed to give his knowledge to the public for its protection from useless operations that he regarded criminal. What then, did Jesus have in mind as better than the world’s system of healing, which He never used or countenanced? God’s remedy is a Person and not a thing. The remedy that Jesus ministered to the sick was a spiritual one. It was the Holy Spirit of God. The tangible, living quality and nature of the living God, ministered through the Soul and Hands of Jesus Christ to the sick one. That same virtue was ministered through the hands of the apostles and of the Seventy. It was also ministered by the early Christians, when they received from God, through the Holy Ghost, the ability to minister the Spirit of God to others. Of the twelve apostles it is said: “He gave them power and authority over all devils, and to cure diseases. And He sent them to preach the kingdom of God, and to heal the sick.” Luke 9:1-2. So vital was this living Spirit of God and its healing virtue in the lives of the early Christians, that it is recorded of Paul that they brought handkerchiefs and aprons to him, that they might touch his body, and when these were laid upon the sick they were healed and the demons went out of them. Acts 19. In this instance even inanimate objects, handkerchiefs and aprons, were receptacles for the Spirit of God, imparted to them from the person of the Apostle Paul. This was not an experience for the early Christian alone, but is the common experience of men and women everywhere who have dared to disbelieve the devil’s lie, so carefully fostered and proclaimed by the church at large, that the days of miracles are past. Every advanced Christian, who has gone out into God, who has felt the thrill of His Spirit, who has dared to believe that the Son of God lives by the Spirit in his life today, just as He lived in the lives of the early Christians, has found the same pregnant power of God in himself. Upon laying his hands in faith upon others who are sick, take place, and realized the transmission of Divine Virtue. Today millions of men and women trust God only, for the healing of their body from every character and forms of disease. What, then, is this means of healing that Jesus gave as a divine gift to Christianity, forever? It is the living Holy Spirit, ministered by Jesus Christ to the Christian soul, transmitted by the Christian because of this faith in the Word of Jesus, through his soul and his hands to the one who is sick. This reveals the law of contract in the mind of Jesus when He gave the commandment: “They shall lay hands on the sick, and they, SHALL recover.” Mark 16:18. With praise to God we record to His glory, that through twenty-five years in this ministry we have seen hundreds of thousands of persons in many parts of the world, healed by the power of God. Christ. They have faith in is redemption and in the presence and power of the Spirit of Christ to destroy sin and sickness in the lives of men forever. In our own city, for five years, no day has passed in which we have not seen the healing of many. For five years we have ministered, with our associate pastors, in The Church at Spokane alone, to an average of from one hundred and fifty to two hundred sick per day, who come from all quarters of the land, and even from foreign countries, to receive the healing [power of God. These healings have included almost every known form of disease. The majority of these healings have been of persons pronounced hopeless by their physicians. Many of them had spent their all, some tens of thousands of dollars, for doctors, medicine, and operations. They found the Lord Jesus Christ, and the ministry of healing by the power of God, just as efficacious today as it ever was, thereby demonstrating the truth of the Word of God.